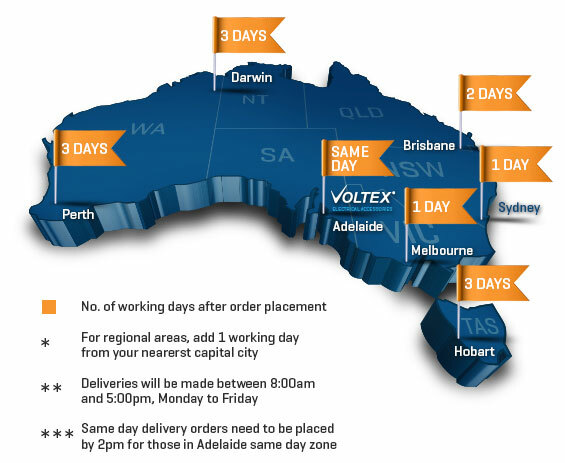 Unlike many other web sites that have special rules and lots of fine print, voltexelectrical.com.au offers free shipping on all orders placed on our website, with no minimum order sizes or special exceptions. Just because shipping is free doesn't mean it should take a long time. Voltex understands that getting your items quickly is important to you, so we make every effort to process your order quickly. When you order from our website, you can expect to receive your order within 1-5 business days. All Australia's freight providers quote ETA's as "delivered by 5 pm". You can track your order by pasting the consignment tracking number(CTN) on the tracking page. Your CTN can be found on the invoice sent to you by email. Orders placed on the website BY 3.30pm Adel time Mon to Fri will ship same day Orders placed AFTER 3.30pm will be despatched the following day. *** (Adel Metro, 2pm). Suburbs may be re-classified during our promotional and advertising periods. All deliveries are made Monday – Friday only. 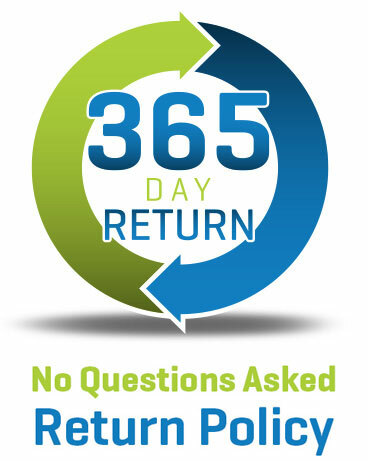 With the Voltex 365-day return policy, there are no special catches or exceptions. All we ask is that you send the items back to us in the original packaging, and packed in a suitable outer carton. Return shipping is absolutely FREE, we will arrange collection from whereever you receive your normal deliveries. An original Voltex Electrical Tax Invoice, copy Tax Invoice, RMA or delivery docket. Put the return items in your original Voltex Carton or any cardboard shipping box. Make sure to cover or remove any old shipping labels and seal your box completely. Fill In the Returns form below or Give one of the Team a call on 1300 722 275 - We are always happy to help!